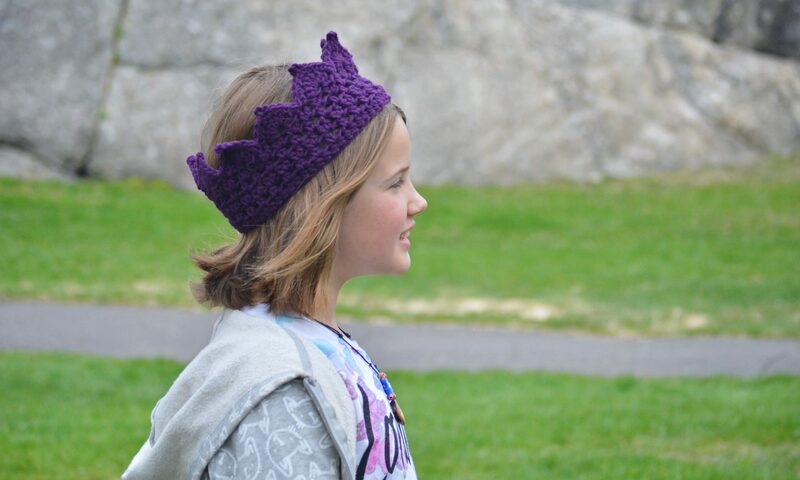 Newly Updated Crochet Pattern ON SALE! I scream, You scream, We all scream for Ice Cream! Excuse me while I reminisce my childhood a bit, but that chant brings me back… Anyone else? I have to admit I really enjoy hearing my own kids repeat this gem from my youth as well. 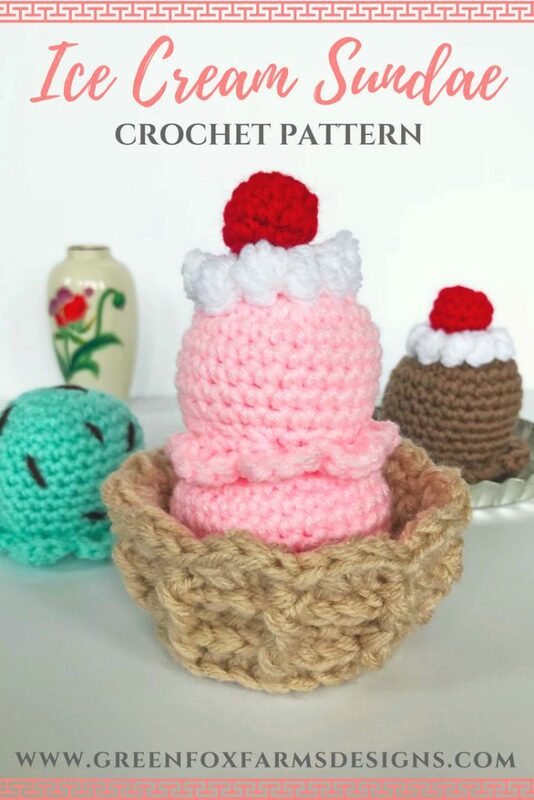 This little walk down memory lane is all in celebration of my sweet Ice Cream Sundae and Cone Amigurumi Pattern! ON SALE this weekend for 3 days ONLY, JULY 13 – 15! 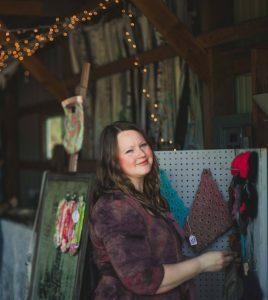 Read on to get all the details! I originally released this pattern as an Ice Cream Cone Rattle and mini Ice Cream Keychain, back in April of 2017. However, I had not yet started this website and blog at that point, so I never wrote up an introduction! 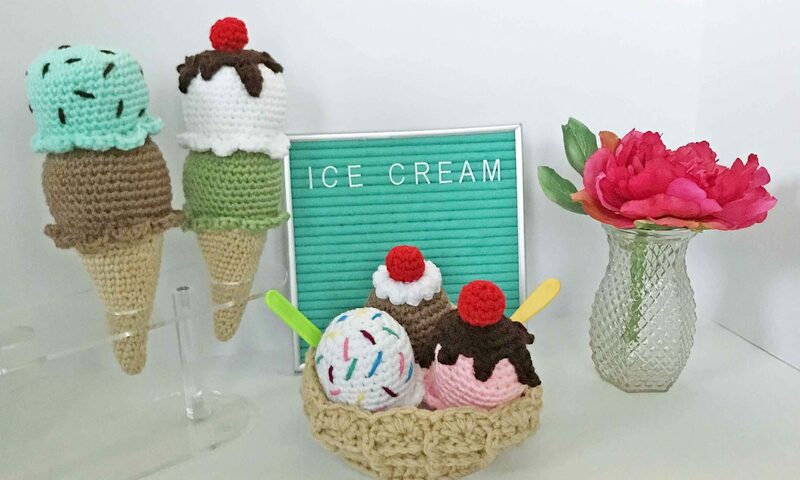 I wanted to do something special with the pattern, so I knew I had found it when I learned about National Ice Cream Month – July – and Day, which is the third Sunday in July!